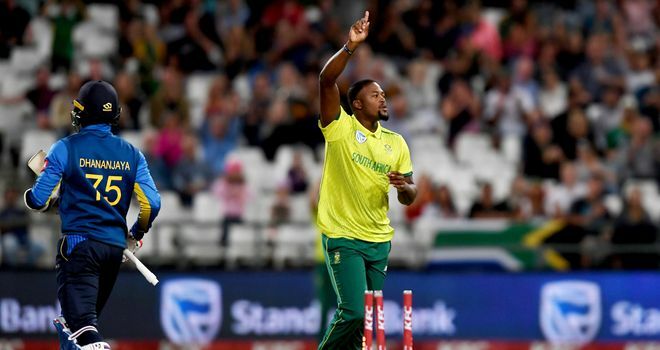 Highlights from Cape Town as South Africa edged out Sri Lanka in a thrilling Super Over finish in the first T20 international. 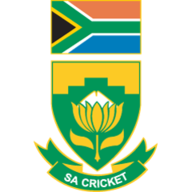 South Africa earned a thrilling Super-Over win over Sri Lanka in the first T20 international at Cape Town on Tuesday. Chasing 135, South Africa seemed to be cruising to another convincing win following on from their ODI series whitewash, before a late collapse saw them fail to score the six runs required from the final two overs. But, David Miller, who starred with both the bat and wicketkeeping gloves in the game, followed up his 41 off 23 balls in South Africa's innings by tonking 13 of their 14 Super Over runs. Sri Lanka fell some way short of that target, managing a paltry five from their one-off over against Imran Tahir, seeing the Proteas to a sixth-straight success against their opponents. The teams meet again in the second and third T20Is, on Friday and Sunday. Sri Lanka's batting has been their Achilles heel throughout the white-ball leg of their tour, and it was the same again here as Faf Du Plessis opted to insert them after winning the toss. Niroshan Dickwella nicked off to Dale Steyn's (1-25) second ball - the catch smartly claimed by makeshift wicketkeeper Miller - and Kusal Mendis too departed for a duck, tamely chipping a Kagiso Rabada (1-42) delivery to mid-on. Avishka Fernando (16) tonked a couple of sixes on his T20I debut, as did the ambidextrous Kamindu Mendis (41 off 29) as he attempted to rescue the Sri Lankan innings. But, again, Miller was involved as Tahir (1-21) claimed the key wicket. Tahir deceived Mendis with a well-disguised googly, leaving the left-hander stranded as Miller whipped off the bails for a first international stumping. Thisara Perera (19) and Dhananjaya de Silva (14) added some useful lower-order runs, before Andile Phehlukwayo (3-25) snared both with consecutive deliveries in the 19th over as Sri Lanka were restricted to 134-7. In reply, South Africa struggled at the top and back-end of their run chase, either side of an impressive 66-run stand for the fourth wicket between Miller and Rassie van der Dussen (34 off 30). Reeza Hendricks (8) ran himself out when looking for a risky third run, Quinton de Kock (13) edged behind when looking to reverse-sweep Dhananjaya de Silva (1-28) and captain Faf du Plessis (21) thick-edged Jeffrey Vandersay (1-25) to point. 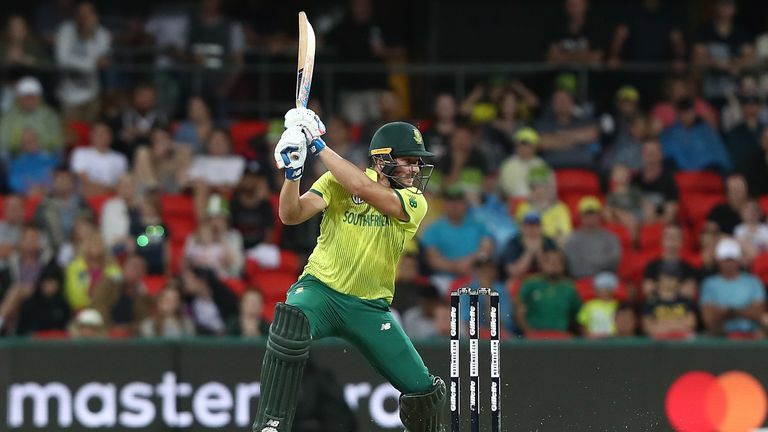 Van der Dussen and Miller rectified things, but when both departed in the 17th over - the former falling to the hugely impressive Lasith Malinga (2-11) and the latter run-out - the South African innings fell apart. Despite requiring less than a run-a-ball, the home side lost a further three wickets in the closing overs and Isuru Udana superbly restricted South Africa to just four runs from the final over, with five required. 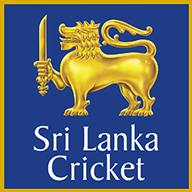 Sri Lanka even had the chance to win the game outright, though wicketkeeper Dickwella failed to throw down the stumps, with Steyn stranded, off the final ball. It would prove a costly miss, as a Miller-led South Africa made amends in the Super Over, blowing Sri Lanka away convincingly. Watch the second T20 international between South Africa and Sri Lanka, live on Sky Sports Cricket from 3.55pm on Friday.